Welcome to the official website of the Cape Saint Mary Lighthouse Park, the newest park in the Municipality of Clare. Cape Saint Mary is the western most spot on the Nova Scotia mainland, providing visitors with expansive views of dramatic cliffs and breathtaking sunsets over Saint Mary’s Bay and the Gulf of Maine. 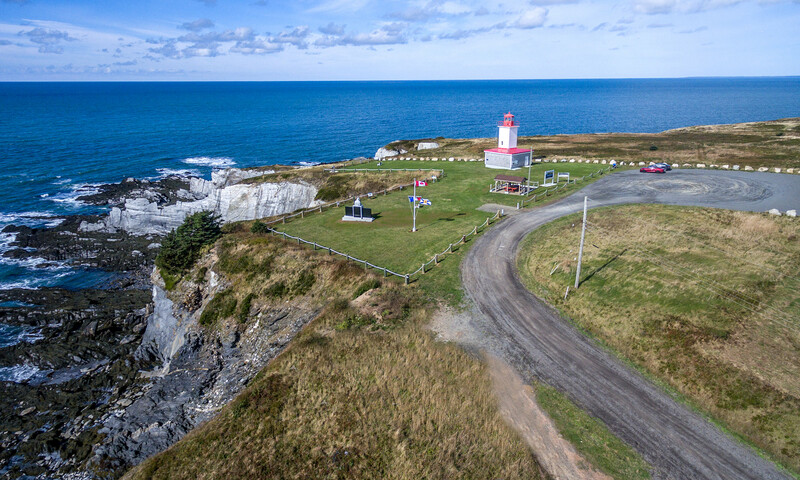 Located in the active fishing and boatbuilding village of Cape Saint Mary (Cap Sainte-Marie), the lighthouse is a three minute drive from beautiful Mavillette Beach Provincial Park. 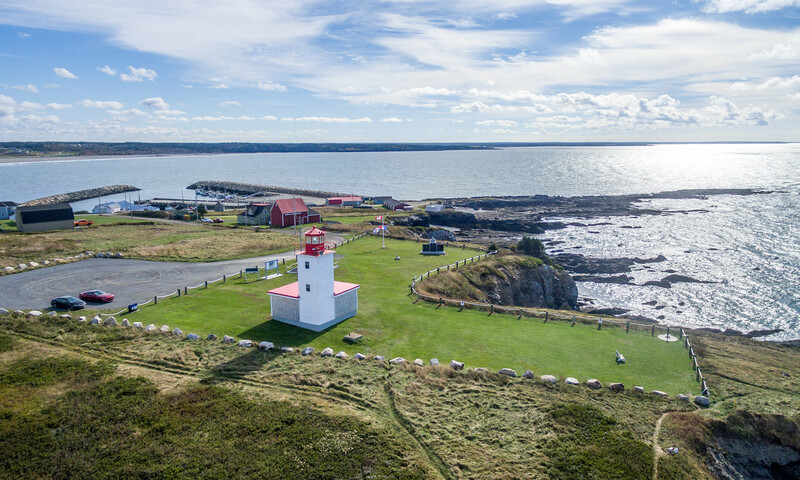 On January 10, 2017, the Municipality of the District of Clare legally took possession of the Cape Saint Mary Lighthouse and property, following a divestiture process with the federal government . Work began in July 2017 with the repainting of the tower, replacement of the roof, and replacement of the vinyl siding with cedar shingles. Along the cliff side of the property, the chain-link fence has been replaced with nautical-style post and rope. To handle the increase in visitation, a gravel parking lot has been created to accommodate over 30 vehicles. A granite boulder fence encloses the park and parking lot. A viewing scope has been installed for visitors to enjoy observing fishing boats, sea birds and other surprises, free of charge. Other visitor amenities include a new welcome sign, a picnic shelter accessible for wheelchairs, concrete benches and interpretive panels explaining the founding of the village, history of the lighthouse, the local marine ecology, and even the fog. The centrepiece of the park is a granite monument commemorating those lost to the sea in the Municipality of Clare. Local sculptor Marc Graff had been commissioned to carve the granite mariner that sits proudly atop the monument. This site offers visitors a quiet yet powerful area of reflection overlooking the panoramic vistas of the Cape. Portable toilets will be added in fall 2018. The official opening of the park and unveiling of the monument took place on Thursday, July 5, 2018. In addition to this website, the marketing plan for the park includes a webcam, a Facebook page, drone photography and hosting events. A new community sign has been installed on Highway 101 just before Exit 32, displaying a graphic design of Mavillette Beach and Cape Saint Mary Lighthouse. Project funding was provided by the Municipality of Clare and the Government of Canada. The federal government will continue to maintain the lighthouse’s navigational equipment.